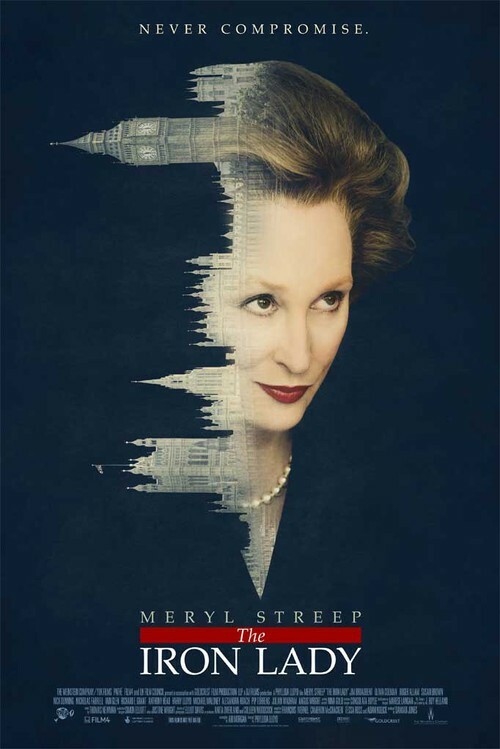 Synopsis: An elderly Margaret Thatcher talks to the imagined presence of her recently deceased husband as she struggles to come to terms with his death while scenes from her past life, from girlhood to British prime minister, intervene. Did You Know? Meryl Streep donated her entire $1 million salary to the Women’s History Museum. Quotables: MARGARET: I love you so much, but I will never be one of those women, Denis, who stay silent and pretty on the arm of her husband. Or remote and alone in the kitchen, doing the washing up, for that matter. No, one’s life must matter, Denis. Beyond all the cooking and the cleaning and the children, one’s life must mean more than that. I cannot die washing up a teacup. I mean it, Denis. Say you understand. I do not pretend to know anything about British history, let alone anything about Margaret Thatcher. All I know is that there is great variance in opinions of her: people either laud her as a hero or condemn her with ardent vitriol. So, I can only have an opinion on Meryl Streep’s Margaret Thatcher. And anyone who read my review of Ricki and the Flash knows quite well how much I love Meryl Streep in every aspect. At 66 years old, she is still one of the most powerful and influential actors in Hollywood. She has garnered a record 19 Academy Award nominations, with 3 wins; and I have no doubt that she will secure herself another one this year, with either Ricki and the Flash or Suffragette (perhaps both?). She’s just a brilliant and talented actor, and she demonstrates this with a wide spectrum in The Iron Lady: depicting both a commanding and intellectually superior Thatcher in her prime and a fragile and waning Thatcher battling dementia. A well-deserved, and long-overdue, 3rd Oscar for this Silver Screen Legend.